Boswell events for the week of April 15. Happy Easter and Passover - note special Easter Sunday hours of 10 am to 5 pm. Kate T Parker, bestselling author and photographer of Strong Is the New Pretty, visits Boswell with her new book, a photographic celebration of what makes a boy, with portraits and quotations from today's boys, from ages five to eighteen. Boys can be wild. But they can also be gentle. Bursting with confidence, but not afraid to be vulnerable. Ready to run fearlessly downfield or reach out to a friend in need. This event is cosponsored by Big Brothers Big Sisters of Metro Milwaukee. The Heart of a Boy is a deeply felt celebration of boyhood. There’s the pensive look of a skateboarder caught in a moment between rides. The years of dedication in a ballet dancer’s poise. The love of a younger brother hugging his older brother. The intensity in a football huddle. There are guitarists, fencers, wrestlers, star-gazers, a pilot - it’s the world of our sons, in all their amazing variety and difference. Kate T Parker is a former collegiate soccer player, Ironman, and professional photographer. Her Strong Is the New Pretty photo series has led to collaborations with brands like Athleta, Oxygen, and Girls on the Run. The project inspired Kate to launch a philanthropic arm of Strong Is the New Pretty, partnering with organizations that invest in girls' health and education. Chris Perondi, creator of The Stunt Dog Show, visits Boswell to chat with former WPR host Kathleen Dunn about The Big Book of Tricks for the Best Dog Ever. This event is cosponsored by Pets Helping People, an organization whose mission is to improve the lives of others, many with special needs, through the practice of animal assisted interventions. Chris Perondi, with his family, created and runs Stunt Dog Productions. Now, he, along with Larry Kay, also coauthor of Training the Best Dog Ever, offers up a step-by-step guide to more than 100 dog tricks specially designed for effective training, pure fun, and even for turning your dog into a YouTube star. Using the secrets of professional dog trainers, Perondi’s tricks run the gamut from the kinds of things any well-behaved dog should know - fetch, shake, roll over - to stunts that are guaranteed showstoppers. Chris Perondi runs Stunt Dog Productions and the Stunt Dog Academy with his wife, Suhey, and their team of canine performers, putting on more than 1,000 shows every year across the country. Please note that while Perondi will be at the store with his canine companion, attendees are asked to please leave their furry friends at home. Samantha Downing visits Boswell for a chat with Milwaukee’s own Nick Petrie about her dark mystery debut - it’s Dexter meets Mr. and Mrs. Smith in this thriller about a couple whose fifteen-year marriage has finally gotten a little bit too interesting. Note that My Lovely Wife is a hit in Milwaukee, showing up on the top fiction bestsellers of Bookscan for two weeks running. New Orleans-based Downing’s debut is the book Entertainment Weekly calls, “the thriller we're most excited to stay up with all night." A corpse is discovered in an abandoned Florida motel, and soon police identify the body of Lindsay, a young woman who went missing a year earlier. This revelation shocks the narrator, since he and his wife, Millicent, were the ones who abducted Lindsay as part of a ploy to spice up their marriage. Boswell hosts a book signing with chef, restaurateur, activist, and author Alice Waters, owner of Chez Panisse, a pioneering restaurant of California cuisine. Please note, this is a book signing only – Waters will not be speaking at this event. To get in the signing line, attendees must purchase a ticket-plus-book at watersmke.bpt.me. Each attendee can buy a ticket bundled with one of the following books to get in the signing line: Coming to My Senses, The Art of Simple Food, The Art of Simple Food II, or Chez Panisse Café Cookbook. Additional titles will be for sale at the event or attendees can bring up to 3 books from home. Three dollars from each ticket purchased will be donated to Groundwork Milwaukee, a nonprofit and land trust whose mission is to bring about the sustained regeneration, improvement and management of the physical environment. At the same time, we’ll be hosting a signing with Andrew R. Ruis, Researcher at the Wisconsin Center for Education Research and Fellow at Department of Surgery. His book, Eating to Learn, Learning to Eat: The Origins of School Lunch in the United States, explores the origins of American school meal initiatives to explain why it has been so difficult to establish meal programs that satisfy the often competing interests of children, parents, schools, health authorities, politicians, and the food industry. Waters is coming as part of a special event at NŌ Studios at the Pabst Brewery Complex, starting at 4 pm on Saturday, April 20. Looks like the NO Studios event is at capacity. We're including our Elizabeth Minchilli event in this week's blog because registrations will likely close out before next Sunday. Bartolotta Restaurants and Boswell Books Company present an author dinner with Elizabeth Minchilli, founder of the Eat Italy App and author of The Italian Table. Tickets cost $85, $75 for Italian Community Center members, and include a four-course meal and a copy of The Italian Table. More information and tickets can be found on the Bartolotta events page. Elizabeth Minchilli has lived in Rome for over 30 years and written 9 books, including Eating Rome: Living the Good Life in the Eternal City. Her culinary writing online has won the Saveur Award, the Italy Magazine Award, and she created the Eat Italy App. The Italian Community Center is located at 631 E Chicago St in the Third Ward. In The Italian Table, Minchilli delivers both the fantasy and reality of Italian meals as they would be eaten on location with her unique approach to a beloved cuisine. Combining menus and recipes with visual experience and inspiration, as well as insight into the traditions of the food and celebrations, she gives home cooks and hosts step-by-step guidance on how to re-create these fabulous meals at their own tables. Read this profile with Elizabeth Minchilli in the Journal Sentinel. More upcoming events on our upcoming events page. Pick a day, any day, and we've got a great author (or authors) for you to check out. Two-time Edgar and Shamus award nominee and writer/producer of television shows like Monk and Diagnosis Murder, Lee Goldberg chats with Crimespree Magazine’s Jon Jordan about Killer Thriller, the action-packed story of hapless Ian Ludlow, a writer drawn into a treacherous plot. Lee Goldberg is the #1 New York Times bestselling author of more than thirty novels, including True Fiction, fifteen Monk mysteries, and Fox and O'Hare series, cowritten with Janet Evanovich. He has also written and produced television series, including SeaQuest, Monk, and The Glades, and has advised television networks and studios around the world. Jon Jordan, with his wife Ruth Jordan, founded Crimespree Magazine. He helps organize Milwaukee’s annual Murder and Mayhem crime fiction conference. Evan Moffic is a Rabbi, author, and speaker whose work has appeared in the Chicago Tribune and The Washington Post. Steven Moffic, MD, retired from Medical College of Wisconsin, received an Administrative Psychiatry Award from the American Psychiatric Association. Together they offer ‘Son and Father, Rabbi and Psychiatrist: The Moffics Look at the Overlap of Religion and Psychiatry,’ in which they’ll consider the challenges of our time through the lens of religion and psychiatry, as part of the Harry and Rose Samson Family JCC’s Tapestry series. Their conversation will be moderated by Laura Reizner Emir, who serves on the board of the Milwaukee Jewish Community Relations Council. First the Jews offers new insights and unparalleled perspectives on some of the most recent, pressing developments in the contemporary world. Evan Moffic considers anti-Semitism and the historical pattern of discrimination to other groups that often follows new waves of discrimination against Jewish communities. With a hopeful and collaborative tone, he suggests actions for all people of faith to combat words and actions of hate while lifting up practical ways Christians and Jews can work together. With Islamophobia and Psychiatry, Steven Moffic helps to offer a vital resource for all clinicians and clinicians in training who may encounter patients struggling with these issues, addressing three related but distinct areas of interest: Islamophobia as a destructive force, Islam as a religion that is threatened by stigma and misinformation, and the novel intersection of these forces with the field of psychiatry. In his talk, journalist Dan Kaufman will examine this attempt to transform Wisconsin’s political culture, which culminated in Donald Trump’s Wisconsin victory in the 2016 election. Kaufman will focus special attention on the citizen activists who fought these efforts, as well as national Democratic Party leaders who largely ignored them. He will also delve into the history of Wisconsin’s progressive tradition and that legacy’s profound influence on the nation. The first workman’s compensation program, the first unemployment insurance program, the first progressive income tax all came from Wisconsin, while much of Franklin Roosevelt’s New Deal, including the Social Security Act, was drafted by Wisconsinites loyal to the Wisconsin Idea, an ethos that placed a moral obligation on the University of Wisconsin to improve the lives of the state’s citizens. Registration is not required for this event. Paid parking is available at the UWM Union garage at a surface lot just north of the Library. Meet the author of the breakout New-York-Times-bestselling novel Girl in Pieces as she chats with Boswellian Jenny Chou about How to Make Friends with the Dark, her new novel. Here's Jenny Chou's take on How to Make Friends with the Dark: "My heart ached for protagonist Tiger Tolliver on every page, but I was so caught up in the lives of the engaging characters that I could not put this book down. Tiger and her mom have only each other, and that’s their family. While their bond is tight, they argue one morning about a dress, the same sort of trivial argument that plays out in homes across the country on any given day. But Tiger’s mother dies suddenly that evening, leaving Tiger broken and guilty. Her grief is all-consuming, and her journey into the foster care system frightening. Scattered throughout the book are little flickers of grace and moments of compassion that I clung to as a reader, even as Tiger was too bereft to even dream of life without her mom. "This isn’t a hopeful novel that asks readers to make peace with death. Instead, it’s a book about survival that asks us to recognize that small moments of joy, such as the soft touch of a horse’s mane, are still possible. Yes, your heart will break, but read How to Make Friends With the Dark for the gorgeous prose and the characters you’ll be glad you met." Associate Professor of Clinical Psychology at University of Pennsylvania’s School of Medicine offers a glimpse into methods and practices for helping children overcome Obsessive Compulsive Disorder. Cosponsored by Rogers Behavioral Health. One of the foremost experts, Franklin offers a framework for helping children overcome obsessive–compulsive disorder (OCD) using proven techniques of cognitive-behavioral therapy. Since the 1990s, Franklin has conducted research on psychopathology and treatment response in individuals with anxiety and related conditions across the developmental spectrum. With knowledge and tools to engage 6- to 18-year-olds and their parents and implement individualized interventions, Treating OCD in Chidlren and Adolescents focuses on exposure and response prevention. Franklin helps provide real-world clinical guidance illustrated with vivid case examples. Martin E Franklin is Associate Professor of Clinical Psychology in Psychiatry at the University of Pennsylvania School of Medicine, where he is also Director of the Child and Adolescent Obsessive–Compulsive Disorder (OCD), Tic, Trichotillomania, and Anxiety Group. Franklin is also Clinical Director of Rogers Behavioral Health - Philadelphia, where he oversees partial hospitalization and intensive outpatient programs for anxiety/OCD and depression in youth. KLH (Kay) Wells, Assistant Professor of Art History at UWM, presents an unprecedented study that reveals tapestry’s role as a modernist medium and a model for the movement’s discourse on both sides of the Atlantic in the decades following World War II. Cosponsored by the Portrait Society Gallery. With a revelatory analysis of how the postwar French tapestry revival provided a medium for modern art and a model for its discourse and marketing on both sides of the Atlantic, Weaving Modernism presents a fascinating reexamination of modernism’s relationship to decoration, reproducibility, and politics. Wells situates tapestry as part of a broader “marketplace modernism” in which artists participated, conjuring a lived experience of visual culture in corporate lobbies, churches, and even airplanes, as well as in galleries and private homes. This extensively researched study features previously unpublished illustrations and little-known works by such major artists as Helen Frankenthaler, Henri Matisse, Robert Motherwell, Pablo Picasso, and Frank Stella. Boswell is thrilled to host Milwaukee illustrator and Boswellian Aaron Boyd with his most recent book, a new entry in the innovative Story chapter-book biographies about a living legend of American history, John Lewis. The son of an Alabama sharecropper, John Lewis experienced the injustice of segregation early in life. Inspired by Dr. Martin Luther King, Jr., Lewis joined with civil rights leaders who believed in fighting segregation peacefully and persevered with dignity and a devotion to nonviolence at the forefront of major civil rights protests. In 1986, Lewis was elected to represent Georgia in the United States Congress, where he continues to serve today. Lewis's passionate belief in justice is a beacon for all who wish to make our country a better place. The Story of Civil Rights Hero John Lewis celebrates the life of a living legend of American history. Aaron Boyd has illustrated numerous picture books, including Calling the Water Drum, Luigi and the Barefoot Races, and Melena’s Jubilee, and his work has been recognized by the Children's Africana Book Award and the International Literacy Association. He lives in Milwaukee. Boswell celebrates Milwaukee Day with The Milwaukee Anthology, featuring anthology editor Kern and readings by anthology contributors. Kern, whose work has been published in previous Belt anthologies, now edits one celebrating the Cream City and environs. The Milwaukee Anthology is a book on hope and hurt in one of America's toughest ZIP codes. In these pages are the stories of a Grecian basketball superstar in the making, of Sikh temple services that carry on after one of America's most notorious mass shootings, and of an astronaut's wish for kids in the same school halls where he formed a dream of space. It’s about Riverwest, Sherman Park, and the South Side, Hmong New Year's shows, the 7 Mile Fair, and the Rolling Mill commemoration, a book about a place on the lake that can make you say "yes" and wonder "why" in the same thought. Read more about The Milwaukee Anthology in Jim Higgins's Journal Sentinel feature. Share an afternoon with five of Milwaukee's literary illuminati. Laugh, ask questions, listen to excerpts, and find out more about their different paths to publication. Books will be available for purchase and signing. All proceeds from this event will go towards the Financial Aid Fund for youth Creative Writing Camps and Red Oak Writing. Admission is $10 or free for NO Studios members. Register at the NO Studios website for this event. I just learned that the Delia Owens, author of Where the Crawdads Sing, wrote, with her husband, teh book Cry of the Kalahari, which we sold for years. Needless to say, this novel has migrated from bestsellerdom to phenomenon-dom. Michael Schaub wrote about Henry Louis Gates's Stony the Road: Reconstruction, White Supremacy, and the Rise of Jim Crow on the NPR website: "Gates' book is a fascinating social and intellectual history of the time between Reconstruction and the rise of the Jim Crow period of American history. It's an absorbing and necessary look at an era in which the hard-fought gains of African-Americans were rolled back by embittered Southern whites — an era that, in some ways, has never really ended." Fresh Air just re-aired Luis Alberto Urrea's interview with Terry Gross for The House of Broken Angels. The story is partly inspired by his brother Juan, "who was dying of cancer when Urrea's mother died"
As you can see, we sold books at the Write Right conference at the Hyatt on Saturday. We also had fiction works by the presenters and attendees but the how-to guides were the biggest hit. Maya Rodale's The Dangerous Book for Girls sold the most copies - the sales terms don't normally allow us to stock the title, but at least for the near future, we'll have some copies available for purchase. I still fondly remember our day with Lincoln Pierce, visiting schools and then appearing at a packed event at the Greenfield Public Library. Max and the Midknights is his new hit, and his fans are legion. Here's Booklist: "With tough, spunky female heroes and loads of derring-do, the concept is already a winner, but Peirce's cartooningcomics sequences intercut with occasional blocks of text á la Jeff Kinney's Wimpy Kidis top notch. The charming characters, smooth visual flow. and snappy gags prove irresistible." From the Journal Sentinel, Jim Higgins talks about The Milwaukee Anthology: "First, my disclaimers: I’m not a Milwaukee native, although I’ve lived here for more than 40 years now. Also, I’m skeptical about attempts to generalize or characterize a place this big. 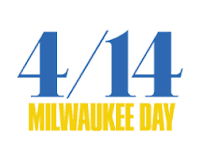 Happily, anthology editor Justin Kern and his contributors don’t offer a unifying theory of Milwaukee. Kern describes this collection of prose and a few poems aptly in his introduction as 'the lesser-heard, silent, and necessary stories from our city.'" From Kendal Weaver, originally appearing in Associated Press: "A deadly school shooting serves as a pivotal event in Jennifer duBois’ The Spectators, a novel that revisits American cultural wars and crises in the last decades of the 20th century." Weaver notes that the story "often thrums with vibrancy and echoes divisive current events as it covers a timeline from the late 1960s to the early 1990s." Matt McCarthy offers this take of An Elegant Defense (which I really enjoyed), originally from USA Today: "I was speaking with Matt Richtel, a Pulitzer Prize-winning journalist and author of the provocative new book An Elegant Defense: The Extraordinary New Science of the Immune System: A Tale in Four Lives. Richtel is not a doctor (nor does he pretend to be), but that hasn’t stopped him from tackling one of the most complicated and vexing topics in modern medicine: the human immune system." I guess I annotated it after all.